If you have an Android device, you already know all the things you can do with it. You can root it, flash custom recoveries and custom ROMs, and do all sorts of tasks you’ve always wanted to do on a smartphone. 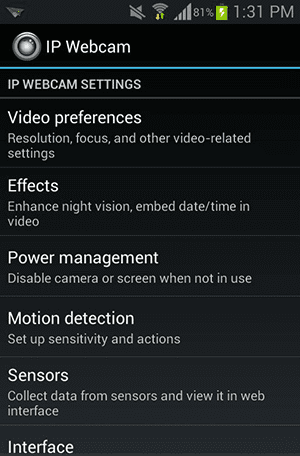 One of these things could be to use your Android device as a webcam. Yes, you heard it right. You no longer need a separate webcam for your computer, as your Android device can act as a webcam for you. You can then use it for any purpose, including video chats, capturing photos, etc. 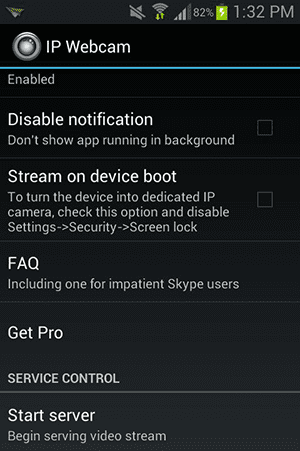 In order to make your Android device work as a webcam, you will need an app called IP webcam. As the name suggests, the app lets you access the camera of your device using the IP protocol from your computer. You don’t need any accessories to get the task done. All you need to have is a computer with a web browser, an Android device, and both of these should be connected to the same WiFi network. 1. Download the IP Webcam app from the Google Play store. 2. Launch the app on your device. 3. Unlike most apps you have come across, this one uses a different kind of user interface. The first screen is actually the Settings page where you can configure all of your webcam settings. The configuration options available here are countless; just click on them to know more about them. 4. Scroll all the way down to the bottom and you should see an option saying “Start server.” Tap on it and it will start your webcam server that you can access right from your web browser on your computer. 5. As soon as you start the server, it will immediately begin streaming the content of your camera. Along with that, you should see an IP address on your screen; just note it down as you are going to be using it in the next steps of this procedure. 6. Now open a web browser on your computer. Type in the IP address you noted down in the step above and hit Enter. 7. The screen that follows is where you will be able to see your camera. 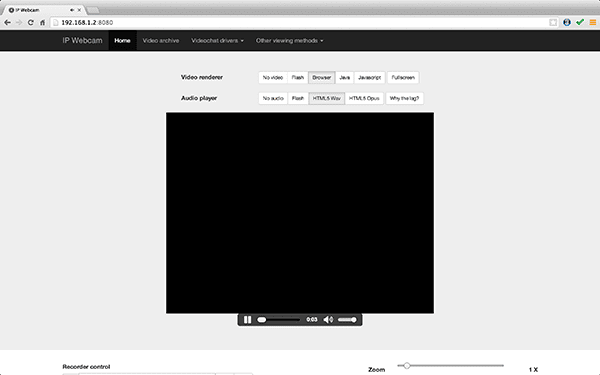 On this page, choose “Browser” from the Video renderer section and “HTML5 Wav” from the Audio player section. 8. You should now be able to see your camera’s footage right in your browser. You’re all done. The IP webcam app offers a number of other features as well, which include the ability to record videos, zoom-in, video quality, focus, and a lot more. Using your Android device as a webcam helps you save some money that you’d otherwise spend on buying an expensive webcam that does what your normal Android device does, but the latter one has some extra features that are not usually offered by the former one. Battery of The Future: What’s In The Works? Google Android One Program. What is it?